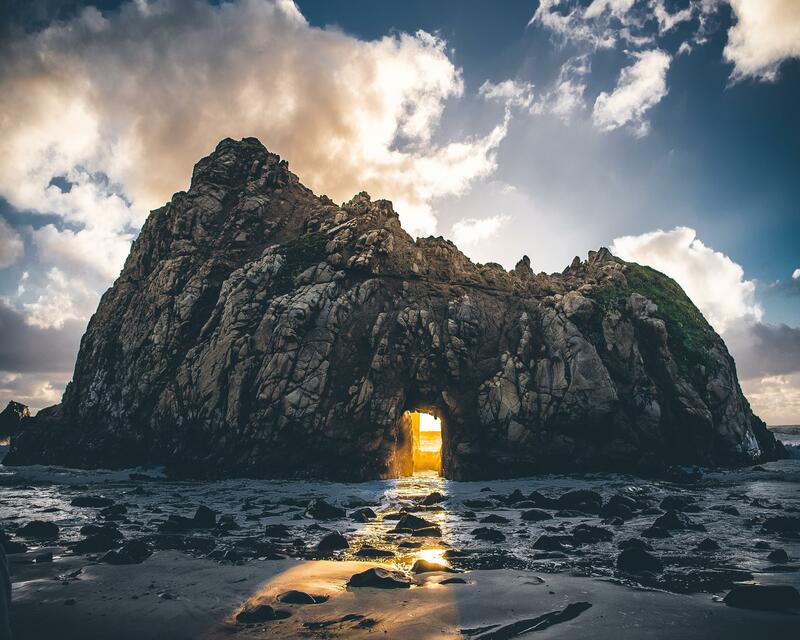 Photographer resh510 captured this image of a sunset through the keyhole at Pfeiffer Beach in California. He underexposed the shot a little, so as not to blow out the sky, then he brought up the shadows in Lightroom. He also shares that the best time to go and photograph this phenomenon is during the winter solstice when the sun is more in line with the keyhole. Then again, the conditions have to be perfect, too.